Argentina is a land of natural and man-made wonders. From the glaciers and sky-scraping peaks of the Andes to the vineyards of Mendoza and the bustle of Buenos Aires, there’s so much to see in this dynamic and incomparably unique country. There are many reasons why Argentina is a top destination for any type of tourists. It has the largest waterfalls, the highest peak in the Americas and some of the most extraordinary scenery that travellers will find anywhere. It’s not just the overall excellence, it’s the extreme variety of tourist attractions in Argentina that keeps visitors going back for more. All our tours to Argentina whether it's a family holiday or a club tour will be organised using our tried and tested 'Tailor-made Service' meaning you will have total flexibility and choice for your holiday or indeed group tour. We do not adopt a 'one cap fits all policy' instead, we try and offer as much choice and flexibility as possible with the emphasis on quality and value for money. Group Tours - As a Group Tour Specialist with over 25 years within this sector, primarily in sports travel, we offer discounts for groups consisting of 10 or more tourists. We take the stress out of the organisation process and all that we require is one point of contact from your group/club and we will do the rest. Your 'Tailor-made Tour' will be the tour that you tell us you want, but more importantly at a price that you feel comfortable with. * Return International economy flights with a selection of Airlines and departure Airports. 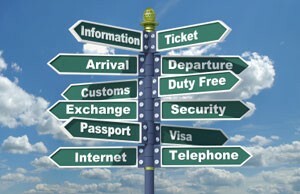 * All known flight taxes, Airport and security charges at the time of booking. * Return Airport / Hotel transfers in Argentina. * Accommodation in a choice of hotels ranging from budget through to 5 star. * Assistance in the arrangement of match fixtures. (For sports groups). * Guided tours to places of interest. (Family holidays or social groups). * ATOL & ABTA Financial protection. * VAT and local taxes.